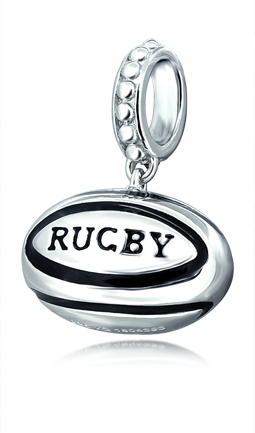 The attractive 925-silver Rugby Ball Pendant features a four-paneled rugby ball. On the front panel, engraved and colored with black enamel, is the word ‘Rugby’. The Rugby Ball Pendant hangs from a decorated 925-silver necklace link.